Ranging from roles in surveying, construction and Property & Estates Management, there's just no better place to list your available vacancies in real estate and property. 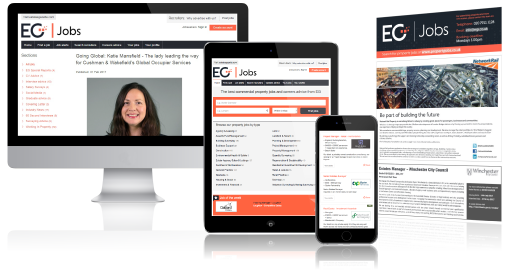 EG Jobs connects more than 50,000 property professionals and graduates every month to the most high-profile and progressive employers in the industry through EG’s extensive real estate intelligence network. A key platform within our connect & inform service, EG Jobs provides our customers with maximum exposure to an active audience of real estate jobseekers, ensuring you attract the high calibre talent you need to grow your business while reducing your time to hire. Connect with the largest audience of real estate professionals, investors and occupiers. Access the critical information that helps you make informed business decisions and discover new opportunities.